An opportunity to generate leads? When you think of LinkedIn, you may not think about gathering marketing leads. You’re more likely to think about looking for a new job or updating your own resume. How would a collection of other people’s resumes and professional accounts turn into authentic leads and business prospects? Quite easily as it turns out. We rounded up 45 experts in the world of social media marketing to ask them about their experiences with LinkedIn. What we discovered was a treasure trove of ideas, suggestions and even a failure story or two that we can all learn from. It turns out that a social media platform designed to bring together employees and employers can do much more than that when used wisely by an expert in lead generation. This is, after all, a social media platform for educated professionals, presumably with a great deal to say and perhaps even a great deal of money to spend. The trick is finding the most effective ways to leverage the knowledge and experiences of the LinkedIn users while also giving them back a bit of something in return. @neilpatel Writing posts just for LinkedIn is the fastest way to grow your brand and connections on Linkedin. Especially if your company is B2B, be sure to have a company profile on LinkedIn, and encourage all employees to have personal profiles that link them to your company. Each person has talents and skills they contribute to your business that can be highlighted with your company’s keywords in each employee’s summary and experience areas. LinkedIn Recommendations can also increase your company’s visibility in the channel. Ask employees to join groups where they can share their insights and answer questions… and train them to always include a personalized note when reaching out to others, and best if that note offers your reason for connecting. Remember that your employees are your company’s best resource – make the most of their passion and individuality. They’re already social, so start thinking of how you can empower your employees to have their own voice, build their influence and expertise, and you will discover many can and will become your company’s most active and valuable social advocates… and focus attention of the value you bring to the marketplace. @dmscott Educate and inform instead of interrupt and sell. Most salespeople and marketers steeped in the tradition of product advertising naturally feel drawn to prattle on and on about their products and services on LinkedIn. But I have news for you. Nobody cares about your products and services (except you). Yes, you read that right. What people do care about are themselves and how you can solve their problems. People also like to be entertained and to share in something remarkable. In order to have people talk about you and your ideas, you must resist the urge to hype your products and services on LinkedIn. Instead, create something interesting that will be talked about online. When you get people talking, they will line up to learn more and to buy what you have to offer. The most important way social media can help you grow your business is through building relationships with influencers. Follow them, share their content, and interact. They may have tens of thousands of followers they will share your business with which can get you results NOW instead of later after you’ve grown your own audience. Make sure to have a professional looking head shot of yourself for your profile photo. You can also create a customized background image in which your branding colors and the messaging of your business are conveyed. Kim Garst’s background image is a great example because it’s showcasing her latest free product opt-in and her main skills. Other professionals prefer to simply have pictures of themselves to give a more personable feeling to their visitors. The ideal background image size for LinkedIn is 1400 pixels wide by 425 pixels high. You can use free image editing websites such as picmonkey.com or canva.com to customize your pictures. When growing your network, it’s important to know how to do it in a way that won’t hurt your profile. For example; one thing that many people don’t know is that if you ask for a connection from someone that doesn’t know who you are and they decide to tell LinkedIn that they don’t know you, it counts negatively towards your profile. If enough of them say that they don’t know you, your LinkedIn will get restricted and depending on the situation, even banned. It’s better to only ask to connect with those who actually know you or let others ask to connect with you first. That way you won’t have these issues. LinkedIn has a lot of authority and if your name is unique, it will probably be on page one of the Google SERPs for your name. Make sure to link to your LinkedIn profile from your websites, your Google Plus about section, your YouTube channel and any other social media platform that allows you to connect your other social profiles. Your headline should have your main skills and keyword phrases related to your work as a professional so that you can be found for them in internal searches. Fill in the contact information with up to date websites and social networks making it easy for others to contact you. LinkedIn is all about networking so if you have a connection that you know does a great job at something, go to their profile and endorse them for the things that they are good at doing. Many of your friends and colleagues will reciprocate if they know that you’re good at what you do too. Don’t forget to fill in the summary basically getting to the point and letting others know exactly how you can help them in their business and how they can easily contact you. For freelancers, one of the strategies that can be super-successful is browsing the full-time jobs for your type of work, and then pitching them freelance help while they’re making that hire. I got a $1-a-word gig like that once, and know many other freelance writers who’ve done well with it, too. I’ve been a staff writer, and my experience is it takes 6 months to a year for them to make that hire! By then, the next person has quit, so often, the freelance help becomes an ongoing need. I engage. I chat. I connect. I share value. I respond. I Like. I bond. The only marketing you need to do on LI is heart-centered; be social, be helpful, be engaging, be human. @adamjayc Help first. Sell later. Create a customer for life. How many times has someone invited you to connect with them, you’ve accepted and later that day you receive a pitch for their services? Sometimes it’s a LinkedIn message, other times it’s a phone call from a pushy sales person. I get it. We all need to win new business and close deals. But with so many folks going straight for the pitch, it presents an opportunity to stand out and close deals with people who would usually say no. Instead of going straight for the pitch, find a way to help the person you’re connecting with or give them something for free. Give them something for free? Yep. But it doesn’t have to be expensive, and you don’t have to spend anything at all if there’s some other way you can help someone. When you go out of your way for someone, they typically feel inclined to return the favor. This is the power of reciprocity. It reduces resistance and has the potential to open doors that would otherwise be closed. @kikolani Find LinkedIN groups that have actual discussions going on in your niche and participate in them! I have found the best way to get attention on LinkedIn is to join groups in your industry where your target audience or customers are actually engaging in discussion and participate in those discussions with them. When you become an active member of the group and provide valuable answers to other member’s questions. This can lead to to those members wanting to connect with you directly and the achievement of your ultimate goal on LinkedIn, whether it is to be hired or to get more people interested in your products or services. @amabaie On LinkedIn, put your best foot forward. You don’t have to put all your feet forward at once. “Bigger is better. More is more.” So goes the song by Don Henley. But on LinkedIn, that is often not the case. If you’ve been around for a while, you’ve accumulated a lot of credits. Various jobs and positions. Many projects, perhaps even hundreds. If you are a creative – a writer, designer, artist, etc. – your portfolio could fill the Louvre. You don’t have to put it all up. I write for a number of publications. I love to write. I can’t help it. But I have chosen just two to mention on my LinkedIn profile: Huffington Post and Chamber of Commerce. Why these two? Because they both are well-known entities that give me credibility. One showcases my writings about life, nature and the arts. The other showcases my writing about business. Put your best foot forward on LinkedIn. Don’t put all your feet forward, even if you are an octopus. Linkedin isn’t like facebook or any other social network where people love to hang around and chit-chat. This where people get serious and get down to business. The prospects are already refined and are delevered on a silver platter – they are here to connect and network. While everything seems obvious and you are ready with your marketing pitch, more like a sales pitch with a bulk mode kicking inside you – before you start any further with your spam-ish approach, you need to wait and think. Networking starts with knowing, helping, contributing and sharing – not with that bulk and unsolicited message. As part of the LinkedIn small business guide, the network shared an interesting stat that relates to how often you should be sharing to LinkedIn. Share 20 times per month to reach 60 percent of your audience. Twenty times per month divided by four weeks per month equals five times per week. Five times per week fits perfectly with a once-per-weekday posting schedule, ideally suited to reach the audience on LinkedIn, which is full of professionals who figure to spend their most time on LinkedIn during business days. @torrefsland Want to stand out on LinkedIn? Share awesome content that helps a targeted group of people to solve their biggest struggle. LinkedIn is a network of professionals. It means that you shouldn´t share personal stuff like what your kid ate for breakfast, nor that your dog managed to catch a Frisbee. Have you ever heard your clients say: “Thanks for posting that latest picture of your kid eating two pancakes at once with the face covered in strawberry jam on LinkedIn. It was that exact picture that made me realize that your services are a perfect fit for my business”? Nope, I didn´t think so. Again, LinkedIn is a network of professionals. So be professional. Regardless of your social media platform, content marketing 101 still applies. Share awesome content that helps a targeted group of people to solve their biggest struggle. Share other people´s content and your own content once in a while. When you provide a lot of value for people first, they will want to find out more about you. They will visit your blog / website. If your opt-in bribe is good, they will get on your email list. … and you might get a new customer. A good example on this is Ramit Sethi. He gives away 98% of his awesome stuff for free. Providing awesome content consistently together with doing blogger outreach helped me to get featured on 158 top blogs in my first 14 months of blogging. @ginidietrich Use Pulse to generate leads by watching who likes and comments on your articles. Then connect with them! Linkedin is the ultimate professional network around with a very focused and serious membership base. Most of which are already looking for or searching about something very specific. Thus, whatever leads and prospects that comes out from your own activities are going to be a lot more targeted, compared to other networks. This helps a lot when it comes to spreading content virally over the social media. The Linkedin network along with its wing – SlideShare are both great at spreading content to the very targeted audience that one wants to reach. It may surprise you, but one of the quickest ways I’ve built an engaged and sizable following on LinkedIn is by becoming an authority in LinkedIn groups. 1. Find influencers in your niche. 2. Scroll down in their profile until you find their LinkedIn groups. Join those that are relevant and sizable (depends on the niche, but I’d say minimum of 10,000 people each). 3. Add yourself to each group. 4. Share quality content to your LI groups. 5. Engage with those that share. Wash, rinse, and repeat. I often get 5-30 likes per group I share an article in. You can be in 50 different LinkedIn groups. At that rate, you can start to generate your own traction. Our strategy involves standing out on Linkedin by positioning our company as a leader and an expert source of information for purchase makers, market influencers and other stakeholders. When customers are ready to make buying decisions, we hope they will already be familiar with our company. Several unaffiliated trade, professional and industry organizations that we belong to have Linkedin groups. One example is the American Marketing Association. Large organizations like the American Marketing Association have chapters in every city and private Linkedin groups established for local chapters. Members of the American Marketing Association are encouraged to connect to one another and share relevant posts in these local Linkedin groups. Meetup.com is another site where people meet in local organizations that have formed Linkedin groups. Hundreds of established Linkedin Groups cater to industries and trade specialties in which we specialize. By participating and sharing content in these groups, we build relationships with community members, gain connections and promote our brand. To me, LinkedIn is all about connecting to professionals in my network / areas of expertise. There are two reasons to why I use LinkedIn: a) to connect to people who disrupt the business scene in their countries, and b) to create a pool of professionals where we can always exchange ideas, brainstorm and be up to date with our professional paths. How can I achieve point a)? To give you an example of how I do it, let me share a short story. In 2014, I was searching for a particular subject related to startups. After reading several articles on Forbes from the same London-based author, Philip, I decided to connect with him. I introduced myself and my business through a LinkedIn message, and mentioned I enjoyed two of his articles. He accepted my request, which led to a follow-up message: a thank you note and a call to action. I wanted to introduce him to one of my contacts in London. She was organizing events for startups, which coincided with his own line of events & community at TenEntrepreneurs. Briefly after that, the introduction took place via email. In 2015, finding myself in London, I reached out to him and met for a cup of tea. This also gave us both the opportunity to better understand what the other does, business wise. How can I achieve point b)? Another example. The Freelancer Way is my LinkedIn group, dedicated to freelancers worldwide and people who work remotely. As an ambassador of freelancers and being one myself, I always enjoy connecting to like-minded people. The group is rather small – 60 members so far, but grows organically every week. I never spam people in my LinkedIn contact list. I always mention the group in my follow-up emails after workshops and events, invite them through Skype or write about it in my articles online. Everything happens in a way in which people don’t feel offended, and it is purely up to them if they want to join the group or not. I believe in the “elevator-pitch” approach: just make it interesting enough and aligned with their mission, and people will join your cause. @chitraparna Leads generated from LinkedIn have higher conversion rate. Being a professional network, LinkedIn cuts through the clutter and confusion, and leads you the purpose of its existence – networking. Over the years, I used LinkedIn for various reasons with varied level of success but the reason I love LinkedIn is its capability to give me leads. The leads generated from LinkedIn have higher conversion rate. It is a powerful market segmentation tool. When I search for specific leads, their search editor gives tons of options. I avoid cold emails and therefore, I engage with selected potential leads on LinkedIn and other platforms before pitching them. It helps to build a rapport and get good work from other professionals. Here’s what NOT to do (I get many of these each week): Connect with someone and, as soon as they accept your request, send them a sales message that begins, “I would like to take some of your time to tell you about our company.” In that short sentence, there are three reasons to make me unconnect with that person and reply with a nasty-gram. 1) Why do I care what you (the salesperson) want? 2) My time is precious and valuable. Why would I let you take it? 3) I don’t want to be told about anything, especially your company. If you want someone’s business, you have to give them value FIRST. Invest the time to learn something about your target (other than their title and industry) so that you can offer them something of value: a link to a couple articles that can help them solve a problem; a free, short white paper about a challenge in their industry and how your company can help or a connection to someone in your network who can help them. Basically, if you want my attention, explain – briefly – how you can make my life easier. Be helpful, not pushy. Sales and marketing are about building relationships. People don’t buy from companies. They buy from people they know, like and trust. It takes time to develop these. Your company may have the perfect solution to my problem, but if I don’t like you, I’m not buying. While this strategy may take longer, your hit rate will be much higher. @britton The best way I’ve created opportunities is simply publishing high quality, original content consistently! @SylvianeNuccio Being involved in groups. Answering questions, sharing feedback and writing Linkedin articles. My marketing strategy on Linkedin is by being involved in groups, trying to answer questions, giving feedback and commenting on posts. But the most important strategy is writing articles about the same topic as my last blog posts. @venchito14 Find email addresses of target bloggers and influencers using EmailHunter. With a single click, you can instantly get their contacts and manually reach out to them via email. One actionable Linkedin strategy most marketers overlooked is finding email addresses of their target linkers, influencers and social sharers. There are many tools to collect email addresses, but one that is pretty handy and is getting popular is Email Hunter. By simply installing it into your Chrome browser, going through each Linked profile and clicking on the red button, you can get the email address straight from the page. This is a simple trick but can actually help you semi-automate your manual outreach and content promotion process. @evancarmichael Stand out through your content. What’s the unique perspective you have to share? Stand out through your content. What’s the unique perspective you have to share? If you want people to notice you then you need to be communicating that’s worth noticing. What’s wrong with the world? How should we be changing it? What experience can you bring to the table that teaches me? Post content that mens something to you. Content that you’d want your grandkids to see. Stop putting less than your best effort in. If your content doesn’t get you emotional, don’t post it. Because others won’t care about it either. @Liz_Azyan Tip for @LinkedIn recommendation request: Pick the right time to ask & be specific in your request! When we’re talking about LinkedIn marketing for individuals, we’re almost always referring to personal branding. LinkedIn testimonials are very powerful because people can cross-check who is writing the testimonials and what is your relationship with them. This brings in a lot of credibility to your capability and personal brand. It increases the level of trust and awareness of your skills and capabilities because it will show up on your timeline and your connections too. The tip here is to get the timing right when asking for testimonials and being specific in your recommendation request. The best time is right after you’ve completed the job for your client or working with a colleague. This helps them to give more meaning and depth to their testimonial while it’s still fresh in their memory. And your request for the recommendation must be personalised (never use the ready-to-use template that LinkedIn offers). Outline some questions that will help guide them to write a testimonial that can help future clients to make a decision i.e. what were the results before and after your service/product? What was their experience working with you? How did they find the communication/process/turnaround time? Remember, having an impactful and purposeful testimonial can have a positive effect on your bottom line. Be sure to display those testimonials on your website, email signature and other relevant online spaces to gain more exposure. Sharing valuable content without asking for anything in return boosts your credibility and builds valuable social equity. If you focus on giving first instead of being overly promotional you’ll earn both respect and trust which will in turn have people coming to you for more. @nishapandey510 I share posts that have some value in B2B market. Also I sure that the post is of top quality, as LinkedIn audience is generally quite knowledgeable and you have to offer something extra to garner their attention. When it comes to LinkedIn, one have to keep B2B audience in mind! I generally share all the posts that are important through a B2B point of view. Another important thing to keep in mind is quality here. 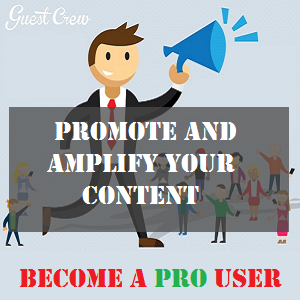 Your LinkedIn audience is quite well informed, so to impress them and get business from them I share exceptionally good quality contents that offer some added value. Also I share great contents from other authority bloggers. You can say, it’s a 50:50 ratio; 50% my own posts, 50% from other awesome bloggers out there. My biggest LinkedIn marketing strategy is to be consistently active in groups. Right now, we’re seeing a big shift in social media engagement, on Facebook and LinkedIn in particular, where private groups are taking a more prominent role. The ability to connect with a community of folks who are all united around a common topic or interest is very powerful. By answering questions, adding value, and building one-to-one relationships in these groups, I believe you can leverage your influence on LinkedIn in a way that can’t be done by simple optimizing your profile or posting content for all to see. One of the biggest LinkedIn marketing strategies you can have right now is to write articles on LinkedIn on topics that showcase your company’s culture and interests. By creating content on LI, you are able to expand, reach new audiences and connect beyond just your company blog or newsletter. What is your objective? Who do you want to target? What do you want to do for your business? The answers to these questions will guide your tactics. For example, if you’re focused on lead generation, make sure you include CTAs (calls-to-action) in Sponsored Updates that will turn visitors to prospects. If the goal is to be seen as a thought leader, use LinkedIn’s publishing platform to publish long, deeper content that pushes the conversation forward on your area of expertise. If you want to increase brand awareness, publish top of the funnel content to reach a larger audience. It may not be any one thing, it maybe a mixture of tactics, but always start with a solid strategy and then set goals to measure your progress. Every week, I send a LinkedIn message to everyone who added me as a connection that week with the subject line “How Can I Help?” I ask them why they connected with me and to tell me about a project they’re working on. This practice brings leads in consistently and helps me get to know my network. Biggest LinkedIn marketing strategy would have to be the using the advanced search option to set up meetings overseas. The advanced search is an extremely powerful way to find like-minded business acquaintances and then in turn set up meetings overseas. We have an extremely large network and of course, as standard, our best referrals and leads come from our first, second and sometimes third level connections on the network. Old meets new fashioned Word of Mouth! @wallaroomedia Recycle successful content from other places onto LinkedIn. It’s a quick win and very effective. Use it to drive people to your website, then do retargeting ads. ROI! If you want to find high paying jobs or clients, there’s no better alternative to LinkedIn. It is one of the most powerful platforms for professional networking. Make sure to add a professional looking profile photo along with the incredible headline on your profile to make your page worth reading and talking about. Also, make sure to publish content regularly to get more exposure to you and your brand. People who succeed with LinkedIn usually publish regular posts that are worth reading and tweeting. Find out the relevant groups on LinkedIn by using advanced or group search. Connect with the people and start networking with them either by following or email. My best Linkedin marketing strategy is actually using their platform as a place to share content. As someone who uses his blog for the purpose of marketing and driving traffic, I am always looking for places to share content. Linkedin is one of the most targeted places to create and share content on just because everyone on the network is looking for some kind of professional or business connection. Most of my posts did very well on Linkedin and actually drew in a ton of traffic from their platform. Relationships are one of the most important things we have in life. The relationships we build are so powerful because they allow us to give; they also provide us with the support and encouragement we need on our journey. LinkedIn has proven to be an incredible platform to help us build relationships. When we connect with others – whether they be potential clients, business partners, or mentors – we learn and grow as individuals and discover new ways we can become even better at what we do and what we have to offer. My best strategy for LinkedIn is to find targeted groups for each of these purposes: to connect with potential clients, business partners, and mentors. Once you find a targeted group for each of these purposes, give. Provide as much value as possible through supporting others and sharing the knowledge you have. Help other people get where they want to be and genuinely connect with those around you in that group. The connections you make and the relationships you’ll build through giving are priceless. Success on Linked In comes from being a good online neighbor. First of all, this means not approaching people you don’t have anything in common with and being sure to send a real message in the invitation. No one would meet someone at a networking event and go Hi I’m Max Ivey I want to be in your network. They would tell you a little about theirselves and then ask you to do the same. Next good neighbors don’t always talk about their kids latest accomplishment. When on Linked In or any other social media network try to share at least as much content from your connections as you do for yourself. And when you do share make it look like you care by having a comment about what you are sharing. If you see something that impresses you, be sure and comment, like, and share it. And something I need to do better at is congratulating your connections when they have a birthday, anniversary, or achieve an important goal. The more you try to be a good neighbor, the more likely it will be that your network will help you share your own content when you need their help the most. I hope that I have done all that I can to be a good neighbor on Linked In. We all know the marketing mantra that goes people have to like you, then trust you, and then they will buy from you. I’m not doing this just to get something down the road. That’s just the end result that hopefully will come from helping others online. I know that in order for social media to work it takes more than having a lot of followers or connections and posting stuff to my status. It requires some hopefully many of these people who have gotten to know me deciding to share it with their contacts. That’s the result of being a good neighbor. Just like in times past neighbors would come together to build a barn or fight a fire or celebrate an engagement. That’s what I strive for online. Whether its my email list, social media networks, or phone contacts; I want people to get to know me and hopefully to like me. LinkedIn isn’t just for job hunting and recruiting! It’s also a terrific platform for growing your “inbound” marketing by posting content and drawing your connections back to your own website. It is also a common misconception that LinkedIn only works for business-to-business marketing. That’s simply not true. The best way I have found to drive traffic to your website from LinkedIn is to post partial articles there that then link back to your site to read the rest of the article. You probably know that “list’ articles work well. This is especially true when posting half the article on LinkedIn. Craft an article such as, “10 Ways to Improve Your Online Reputation” and post the first 3-5 there on LinkedIn and the full article on your own site. A simple link at the bottom of the LinkedIn post that says something like, “Read all 10 by clicking here” is all you need to do to drive traffic to your own site where you can pixel the reader for re-targeting later on facebook and Google. LinkedIn’s “Publish a post” feature has improved dramatically over the past 12 months. Just like a facebook timeline, your article will appear in your connections’ timelines and can be shared by your connections so that others outside of your direct network can read your post. Take some time to create a great headline and introductory paragraph that will immediately capture the reader’s attention and make those first 3-5 points strong and compelling. Don’t save the best ones for your own site. Your best points should be made on LinkedIn so that the reader is curious and clicks the link to read the rest of the article. I spend a lot of time using LinkedIn Advanced Search to find prospects or like-minded people in my area to connect with. Even in just the short time that I have been doing this I have been invited to speak at two events by these new connections. And that was after just connecting with 10 people. So, I am continuing this approach of selectively, rather than in bulk, approaching people that fit my business. If you are in the B2B arena, I highly recommend LinkedIn to expand your network! 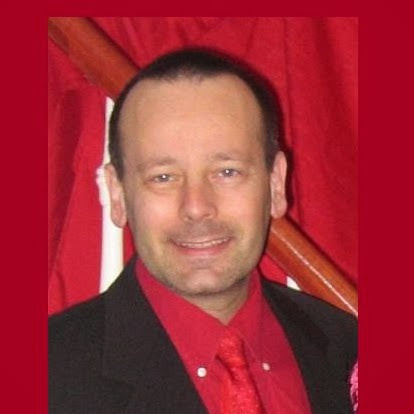 @erikemanuelli Join highly relevant LinkedIn groups in your market. Showcase your expertise and nurture leads by actively participating. There are more than 2 million groups on LinkedIn. You can join a relevant and active group in your niche (be sure to find an exact match to what kind of audience you are looking for). Once you requested to join, be sure to actively participate by showcasing your expertise posting informative content, answering questions and solving problems of other members. This way, you will be able to nurture leads and increase your online reputation. Your Linkedin Profile needs to reflect what your Business is. Your product/service should be clear and engaging so that reader stick to it. It all starts with a high quality and cleverly made Header image. Not only would your header image attract reader’s eye but it would also engage your viewers to scroll further. Next you should act on your Company’s description, Linkedin display a short description, that’s why you need to craft a perfect sales line which instantly clears what your company does. It should all finish with a perfect and conversion optimized landing page at your website. I sometimes also make use of the showcase pages. LinkedIn groups can be very spammy and some can just be like a traffic-less ghost town. That’s because too many group members just leave their links in there and go. What i prefer doing is syndicating my posts on LinkedIn and then sharing those syndicated posts in LinkedIn groups. These syndicated posts receive a lot more traction in the groups than external links and you also gain engagement in LinkedIn Pulse. Beside profile optimization, my biggest LinkedIn marketing strategy is to blog on the Pulse platform. The posts I publish there may not reach thousands of readers. However, they always catch the attention of the right prospects. The great job or partnership offers that land in my inbox afterwards are proof of that. I mostly use Pulse to republish content from my blog, Social Media Slant. I just change titles and tweak the content slightly to adjust the message to my LinkedIn audience. The benefit of this approach? An increase in traffic to my own digital property. And since I promote my latest social media ebook at the end of each post, people are likely to check it out. This highlights your work much better & easily capture user attention. Also create a clear and compelling pitch in your company description. This is where you will grab attention of our targeted audience. First 2 lines of decsription should be clear and concise to explain your business because you have less time to capture user mind. Also joining some business related groups can help you to reach out your targeted audience. One more important thing to do in Linkedin is posting great content related to your business and share it with your Linkedin connection. This is amazing way to build trust among your connections. Linkedin is a great marketplace for the professionals. I called it marketplace because this is the place where serious people make their profile to build their business and ultimately boost their sales. Unlike Facebook, people join Linkedin having a result oriented approach in the mind. The biggest strategy on Linkedin is to use their platform “pulse” to market your skills and get more visibility in different groups on Linkedin. I normally write some awesome pulse from different accounts I have on Linkedin and market them in different groups to get more eye balls. While there are always simple steps you can take to improve your LinkedIn experiences, the advice above shows us that the richest, most effective experiences on LinkedIn come with an investment in the platform and its members. The amount of knowledge and opportunity incorporated through the platform is almost overwhelming, but those who don’t know how to navigate the network can’t take advantage of the opportunities – and tremendous leads – available. Fortunately, the experts are willing to share their own experiences to help chart a course for those just beginning their own LinkedIn journey. Thanks for compiling these tips, Ravi. I’m a little surprised so many people mentioned LinkedIn groups. After the last change LinkedIn made to groups they became much less useful to me. People who had busy groups told me they were so much harder to manage that their heart wasn’t really in building them anymore. I don’t know because I’ve been so busy with so many other things that I haven’t had time recently to be active in them. I haven’t maintained any linkedin group yet but when sharing my posts on groups at linkedin the traffic and engagement was pretty much all right. I guess the issue with most groups in Linkedin is that people are dropping links and leaving which never helps. Wonderful roundup! Glad to see everyone sharing their LinkedIn mastering strategies. Thanks for including me in the roundup. Much appreciated! This is interesting, I thought LinkedIn is not perfect for driving traffic to blogs but I was totally wrong. Great Ideas and opinions from 45 brilliant marketing minds. Thank You for sharing. Certainly, I was not aware about this tactic..
Before reading your blog, I assume Linkedin only for professional work and activities.. But, now I have understand the power of Linkedin, I will surely use this professional networking website for generating leads.. Thanks for sharing a superb post.. I have heard that Linkedin is a well growing platform for internet marketers and bloggers. So I just want to use this to grow up my online presence. So I created my account and badly need some quality tips. Here I found 45 experts proven opinions. Thank you so much for creating such a nice round ups and thanks for share it with us. Thanks for including me. Great list of marketers. Such a nice and very detailed list on linkedin marketing strategy. I have been active on linkedin since last 10 years and tried many of these techniques which helped a lot. Thank you for sharing this list with community. This post Truly a great post. I got knowledge in bulk. 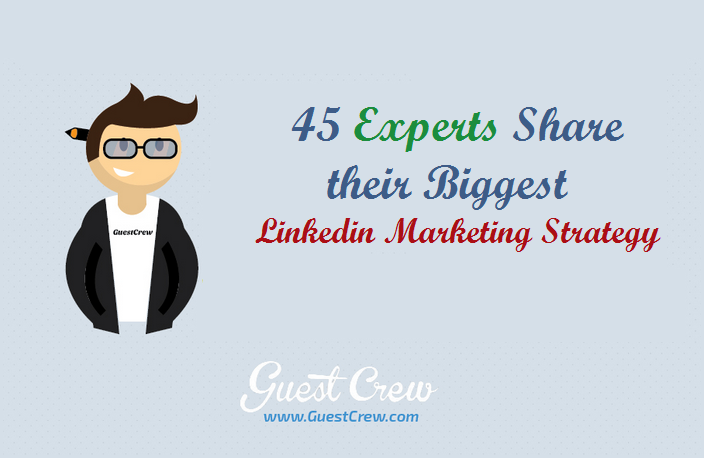 Now i know the LinkedIn Marketing Strategies from 45 different experts. I have heard only few of them but great article. Never tried linkedin for marketing. It’s great to get views from professionals. This is an awesome round-up for LinkedIn marketing. Well done! Thank you for sharing with us ….. awesome post .. And yes, LinkedIn is the No. 1 Web site for professionals and, recently I heard that a new person signs up every second — and they have more than 30 million users. If anyone haven’t signed up yet, I’d strongly suggest all of them take an hour to set up your profile and make connections. You’ll also find online groups to join that could help you network better. It’s a little weird…99% of this list is basically the same people we’ve been promoting for 10 years. New additions Brian, Chris, and Cicero are excellent professionals to follow. Would have liked to have seen more up and comers! LinkedIn is a professional network which is becoming more social day by day. Still most of the professionals do not know how to take advantage of this awesome networks. Really useful and informative. Keep Posting. Thank you for this wonderful round up post. It is interesting to see these experts giving their LinkedIn marketing strategies. I used to call LinkedIn my “secret weapon” a few years back because people are more serious there. You’ve a wonderful team of “LinkedIn marketing” I’ve just created my account on LinkedIn and would like to contact for marketing strategy but before learning more about LinkedIn marketing. Thanks a lot for your cooperation. i have not wide connections on linkedin, but the information is good. Thanks Ravi for share this article with us . before read this article i m not aware linkedln marketing but now read this article I am really learnt lot form you and am going to apply this strategy to my website .Thanks so much. Thanks so much for featuring me with these LinkedIn pros. Thanks for this round-up post of LinkedIn tips. I think the tip that convinced me most that I must start to get properly involved in LinkedIn is Tor Refsland’s humorous comment about the type of post your potential clients will like (or dislike). Being on social media mainly for business purposes I’m a little impatient about some of the personal posts and Facebook lives I see. I’ve had bad (spammy) experiences on LinkedIn in the past, but reading the tips above it’s obviously improved! Thanks for encouraging me to use LinkedIn more seriously. I’ve been considering getting started with LinkedIn and wasn’t sure what the best strategy was. I’ll definitely have to bookmark this post so I can learn more from these experts. I have to admit, I’ve been putting off getting started with LinkedIn because I wasn’t sure what to do. Now I realized that it’s all about building connections. 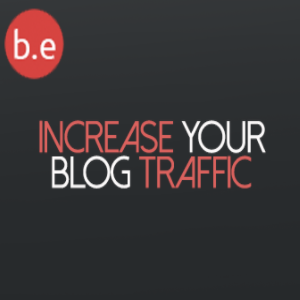 Thanks for sharing these tips with us, I have no doubt they will help bloggers like me get started with it. 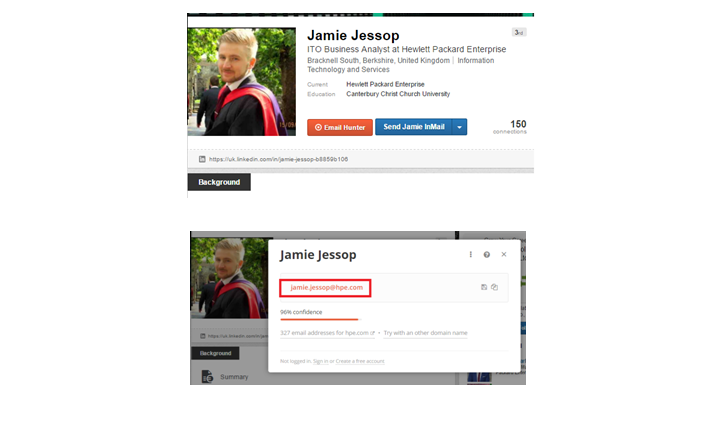 This is a location that seems to be getting more worn usage of our members within LinkedIn. Think of Facebook as going to a family cookout. OK that is all that is for. Yet, most people will still pitch pages and junk. Over satuated same systems, methods and products of juices miracle stuff. That is just insulting and wrong on LinkedIn. Gathering connections for worthy reasons. Takes work and vetting each person. Then, you have a position to reach out and use it like B2B. Nothing else works. Yet, you can find people in need of real work for real pay. Using it as a recruiting for selling other people’s goods is more a waste of time. You have to really apply “Old School” interaction with people who are established on LinkedIn. It is to me, the only known location with active people who we all are in need of something sometime. That is the beauty. Sometimes, just connect and be transparent. Excellent choice for a usable topic Ravi. This is, well done! Thank you for the wonderful article, I’m searching for the information from the past few days but here I found all the answers to my questions. I will get in touch back very soon for other information that I need. Linkedin is and always have been a platform I know I could get more out of. And what you shared here really provided me with motivation to continue on. Going to try a few of these right now. I never used linkedin for my blog post marketing. But this post in an eye opener for me. Now I have many ideas to market my post on linkedin. Thanks for sharing these awesome ideas. To be honest this post is goldmine, its really great to see all the experts being featured in a single post. They have shared wonderful linkedin marketing tips and I guess I’m gonna bookmark this post. Very informative post from the experts.